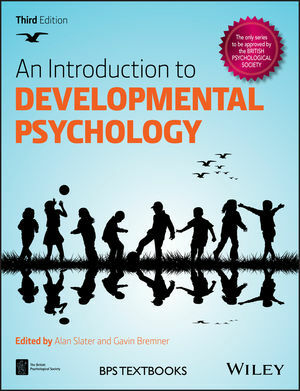 An Introduction to Developmental Psychology, 3rd Edition is a representative and authoritative 'state of the art' account of human development from conception to adolescence. The text is organised chronologically and also thematically and written by renowned experts in the field, and presents a truly international account of theories, findings and issues. The content is designed with a broad range of readers in mind, and in particular those with little previous exposure to developmental psychology. Alan Slater is Associate Professor in Developmental Psychology at the University of Exeter, UK. He is the co-editor of several books including The Blackwell Reader in Developmental Psychology, Introduction to Infant Development, Theories of Infant Development, and the six-volume set Psychology of Infancy. Gavin Bremner is Professor of Developmental Psychology at Lancaster University, UK. He is the author and editor of many books, including the popular textbook Infancy, The Wiley-Blackwell Handbook of Infant Development, Theories of Infant Development, and the six-volume set Psychology of Infancy. New chapters 7 and 8, on social development in infancy, and the development of self and gender. More on findings from neuroscience. More critical analysis of theories.